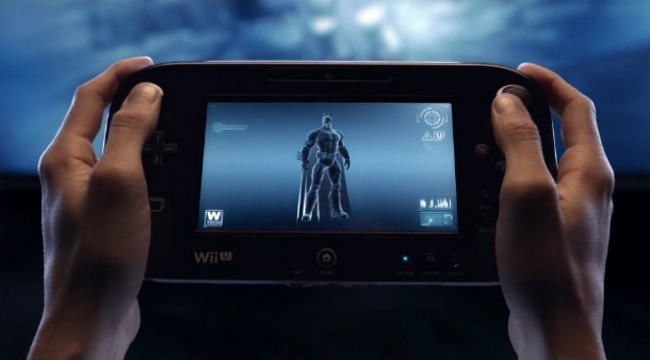 WB Games Montreal have released a trailer for the WiiU version of Batman: Arkham City Armored Edition, which shows the new features for the WiiU controller. Given how vital it is for navigating your way around Arkham City, it’s fair to say that incorporating the Batcomputer functionality into the controller screen is a smart move. It saves on a lot of the back and forth switching that I found with the 360 release. However the remaining gameplay features seem somewhat gimmicky and lacking. There is a new take on the code breaking cryptographic sequencer that doesn’t look as enjoyable as the thumbstick rotation of the PS3/360 release. The remote controlled batarangs are now steered via the controller which is also used to move Batman’s head during the crime scene investigation sequences. There are a few unique features in the WiiU release however. There is an enhanced power up mode called B.A.T. This is a meter that fills up during combat and, when activated, boosts Batman’s strength and gives him a greater edge during the many fights that you’ll find yourself in. There is also a sonar mode that can be activated on the controller which will give you readouts on the locations of your enemies for that extra guarantee of a stealth take down. Batman: Arkham City Armored Edition is released on 18th November.